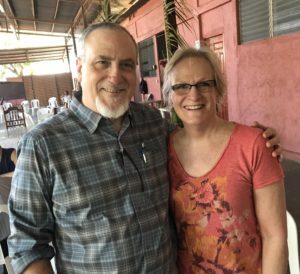 WGPC members John Hughes and Harriet Hall have touched down for a week of fellowship and learning as they gather with CEPAD (Council of Protestant Churches in Nicaragua) and its partners from around the world. In a few days they’ll head up to Plan Grande #2, the community with whom WGPC is in covenant partnership. Keep checking back for updates! Click to read more about Plan Grande #2 and our relationship.